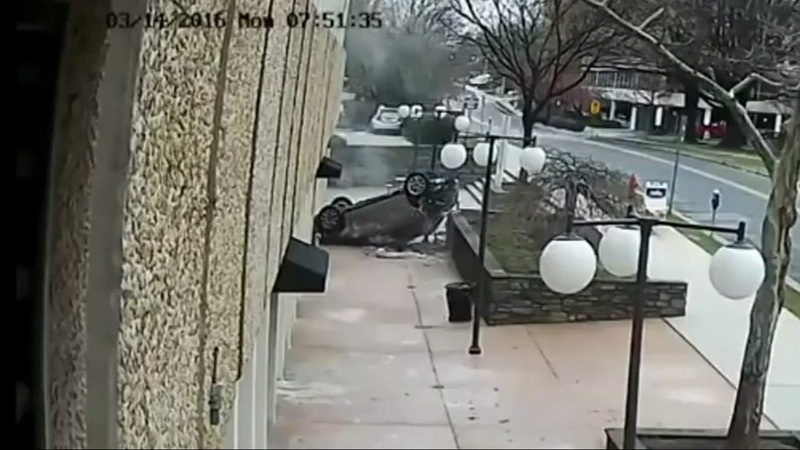 Police in Maryland released dramatic surveillance video showing an SUV falling four stories before landing on its roof. Incredibly, the driver suffered only minor injuries. Police say the 23-year old driver crashed her Audi through the concrete barrier of a parking garage earlier this month.